The pace of adoption of Amazon Web Services (AWS) for enterprises’ core SAP workloads has been growing steadily the past few years. Already in 2018, we are seeing increased demand and interest for migration and deployment of SAP workloads on the AWS cloud. With Linke, an AWS Partner Network (APN) Premier Consulting Partner with the AWS SAP Competency, enterprises can execute SAP-centric digital transformation strategies including new SAP deployments, database migrations to SAP HANA, or projects that integrate SAP systems with AWS services. With AWS, enterprises find an ideal place to run their SAP workloads. AWS has a flexible and competitive cost model, global infrastructure, certifications for security and compliance, and self-provisioning capabilities to help you get started with architecting SAP on AWS. SAP also supports AWS for running most of its portfolio for production operations. AWS meets SAP’s high standards for its underlying infrastructure, as detailed in SAP Note 1656099 or in the number of Amazon Elastic Compute Cloud (Amazon EC2) instances certified by SAP to run SAP HANA, the organization’s in-memory database and a highly complex and technically challenging software. Linke executed 44 SAP migrations to AWS in 2017, and they currently manage more than 300 SAP instances on AWS with a team of engineers certified on both AWS and SAP. Such a unique blend of technical expertise makes Linke capable of understanding and optimizing AWS infrastructure and services to make SAP workloads work better. Elastic SAP is Linke proprietary technology that provides a set of tools to integrate automatic scaling with SAP Netweaver ABAP Application Server. It allows SAP application servers to automatically scale up or down horizontally. Elastic SAP also integrates with any Amazon CloudWatch metric to trigger automatic scaling. With Elastic SAP, you can optimize the underlying SAP infrastructure and give your business the flexibility to add or remove SAP servers based on need. At the same time, this solution allows to reduce operation and infrastructure costs by a significant amount. Figure 1 – Scale your SAP infrastructure with real usage with Linke’s Elastic SAP solution. AWS Connector for SAP is an ABAP add-on to SAP systems that integrates any SAP system with Amazon Simple Storage Service (Amazon S3), following SAP Archivelink interface specifications. This way, businesses can leverage the durability, security, and cost effective properties of Amazon S3 for SAP data and document archiving, providing infinite storage capacity that scales with your needs without having to guess storage capacity in advance. Pre-installed SAP systems on AWS Marketplace are Amazon Machine Images (AMIs) with SAP software installed and ready to be deployed on customers’ accounts. This allows for instant deployments of SAP infrastructure on AWS, giving businesses the agility the market demands. Hanalized is a service that allows testing and evaluation of SAP HANA. Linke takes a backup of customer data from the existing SAP system and migrates it to a SAP HANA system running in a secure AWS environment. This way, customers can evaluate the benefits SAP HANA technology provides to the business without making a big investment. Linke Cloud for SAP is the SAP-managed service that includes infrastructure support, operations, consultancy, and SAP basis with the advantages that the AWS platform provides. Enterprises want to use AWS as the platform for their digital transformation, and SAP workloads sit at the core of projects in areas such as big data, machine learning, Internet of Things (IoT), and DevOps. Much of an enterprise’s core data resides in SAP, and none of these initiatives can be executed without involving that key data. Linke’s services and product offerings help enterprises leverage the best of AWS for their SAP workloads so they can achieve new levels of agility and performance. 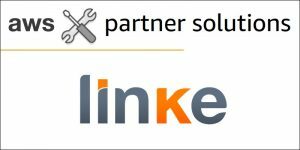 Learn more about Linke’s AWS Competencies and customer success stories. Explore Linke’s Elastic SAP offering.